Jamie here! 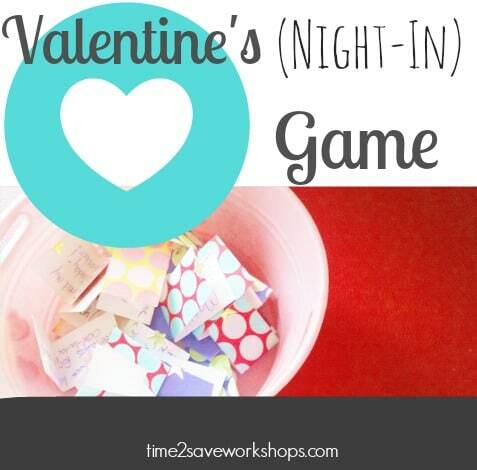 I’m so excited to finally share this Valentine Scavenger Hunt for Kids with you! 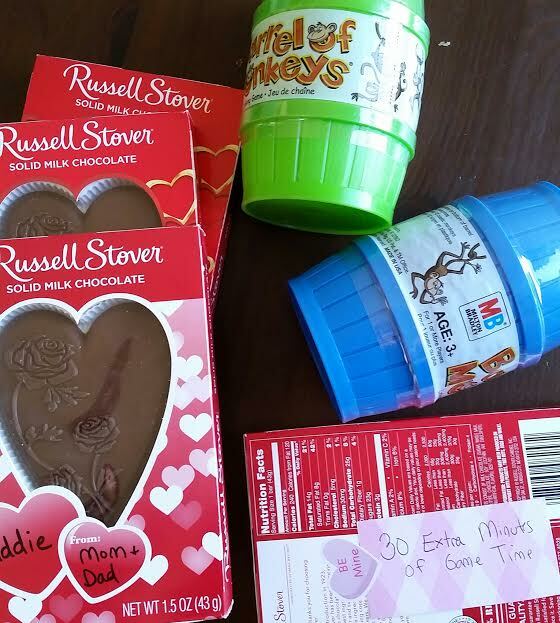 Scavenger Hunts are such a fun way to let your kids (or your sweetheart) know you’ve thought about them enough to hide a gift and lead them to it. The hunt just builds the excitement and makes Valentine’s Day extra fun. 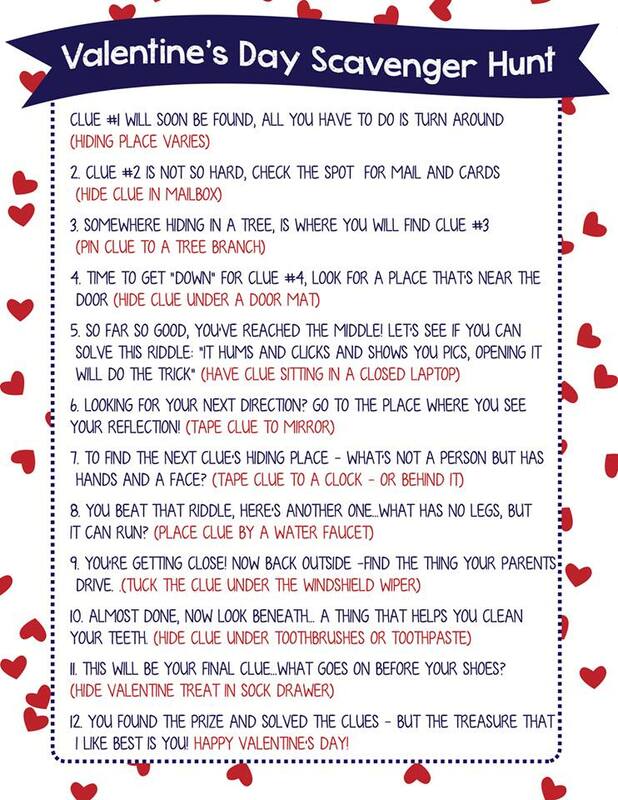 I had one of my older sons help me come up with these 12 cute clues, and we created this Valentine Scavenger Hunt to make it easy. All you have to do is print it, cut apart the clues, and hide them in the suggested hiding places. 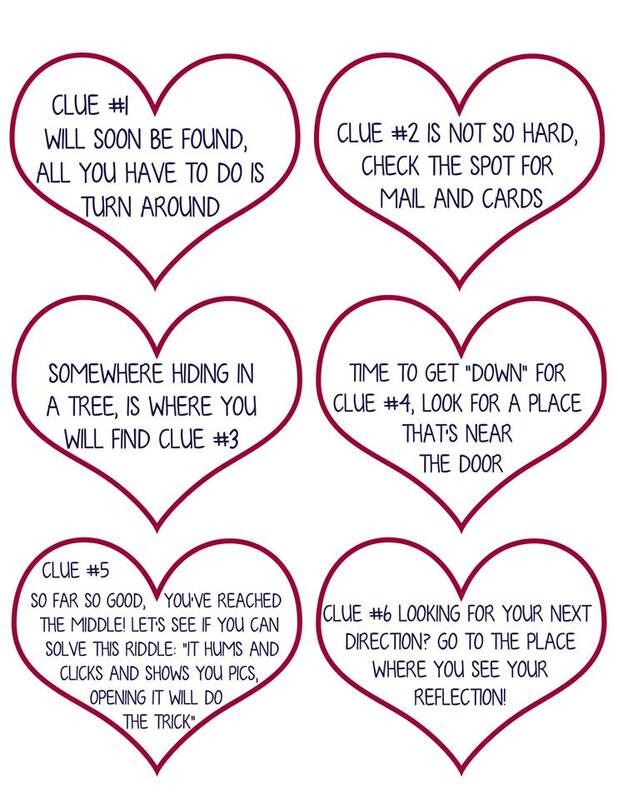 Then place a little treat in the final hiding spot for your sweetheart to find! This hunt is probably best suited for ages 5 – 12, with some easier ones and some more difficult ones that may require a little help. 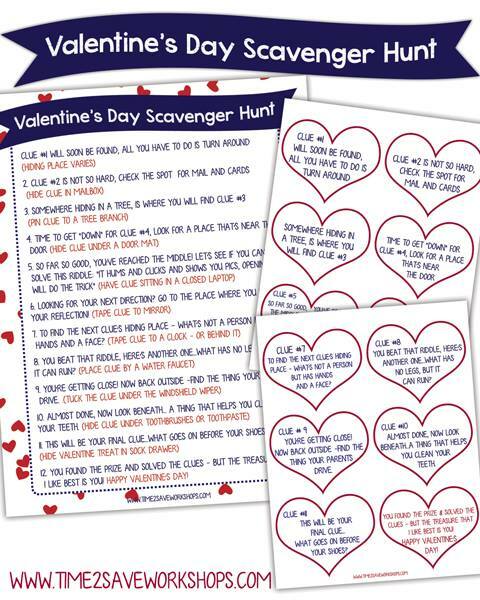 Let us know if you use this Valentine Scavenger Hunt – and if your kids had fun searching for the clues! « Cosori 6 Qt 8-in-1 Pressure Cooker – LOWEST PRICE! How cool James! Nanny would be proud, she was always writing little poems.